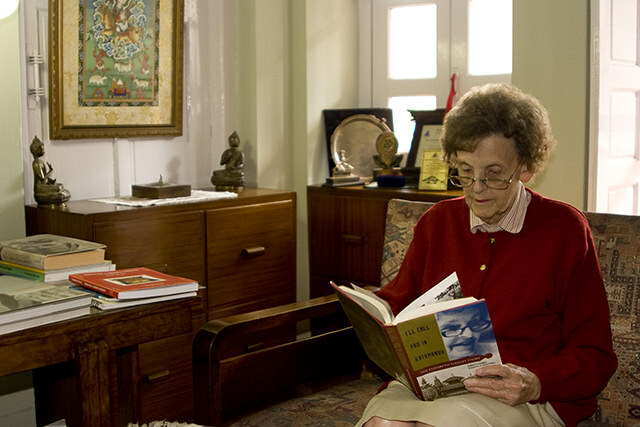 Elizabeth Hawley with her biography by Bernadette McDonald ‘I’ll Call You in Kathmandu’. 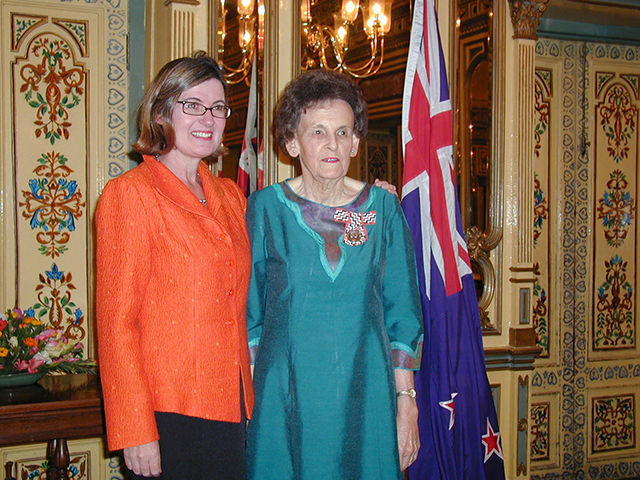 Hillary described Elizabeth Hawley as “a most remarkable person … a woman of great courage and determination.” She served as New Zealand Honorary Consul to Nepal for 20 years until retiring in 2010. Because of her media contacts, the Time Life Delhi bureau chief asked her to report on Nepal’s politics. It was an interesting time — as one of only four foreign journalists, she was present when King Mahendra handed over the first parliamentary constitution, which paved the way for democracy in Nepal. 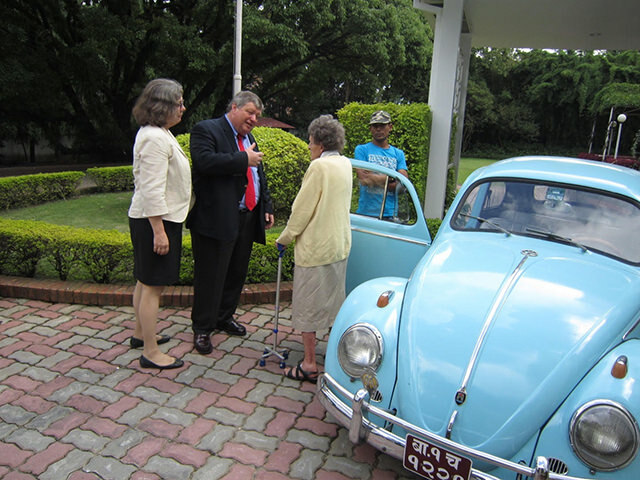 Fascinated by Nepal’s politics and the idea of an isolated country emerging into the modern 20th century, she returned in 1960 and never left, living in the same Dilli Bazar apartment, the same blue Volkswagen Beetle car, and generations of faithful retainers. A diminutive figure of slight build with a keen look, Elizabeth was bemused at the universal attention she received. 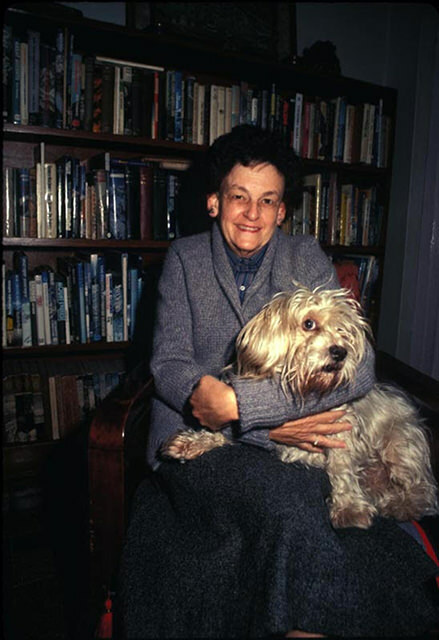 Her Himalayan Database expedition records are trusted by mountaineers, newswires, scholars, and climbing publications worldwide, published by Richard Salisbury and the American Alpine Club. 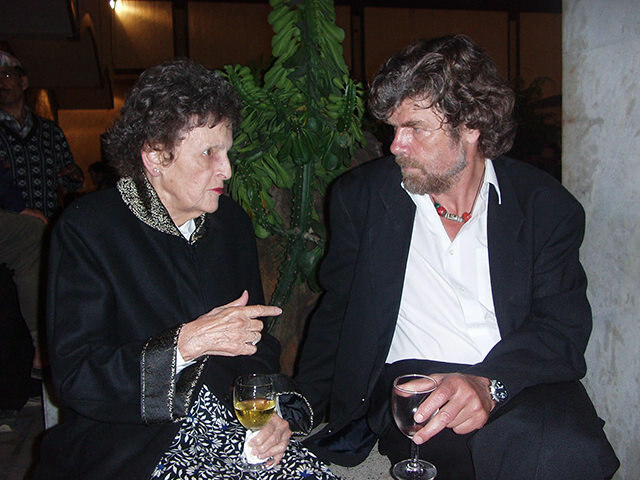 She was one of only 25 honorary members of the Alpine Club of London, and has been formally recognised by the New Zealand Alpine Club and the Nepal Mountaineering Association. 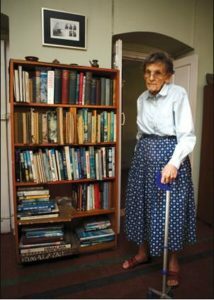 In 2004 she received the Queen’s Service Medal for Public Services for her work as New Zealand honorary consul and executive officer of Sir Edmund Hillary’s Himalayan Trust. She was awarded the King Albert I Memorial Foundation medal and was the first recipient of the Sagarmatha National Award from the Government of Nepal.